Is it Time to Change Your Advisor? Being financially well is challenging, but don’t be confused and overwhelmed by the big, impersonal, commission-driven Wall Street machine. In this book, Lorraine Ell shows you the common investing and financial planning pitfalls, and how to avoid them. She doesn’t mince words, and is very direct about the ways the financial-services industry might not be working for you! Sign up for Lorraine’s email newsletter to get an exclusive download of the 7 Warning Signs You are Working with the Wrong Advisor! Thank you for subscribing! You will receive an email with the downloadable PDF shortly. The retirement of your parent’s generation is nothing like the retirement of today. Your father’s broker doesn’t know best. Investing has changed and the research and investment vehicles available today now call for a fresh approach-one that encompasses a holistic view of your finances, goals and life’s challenges. 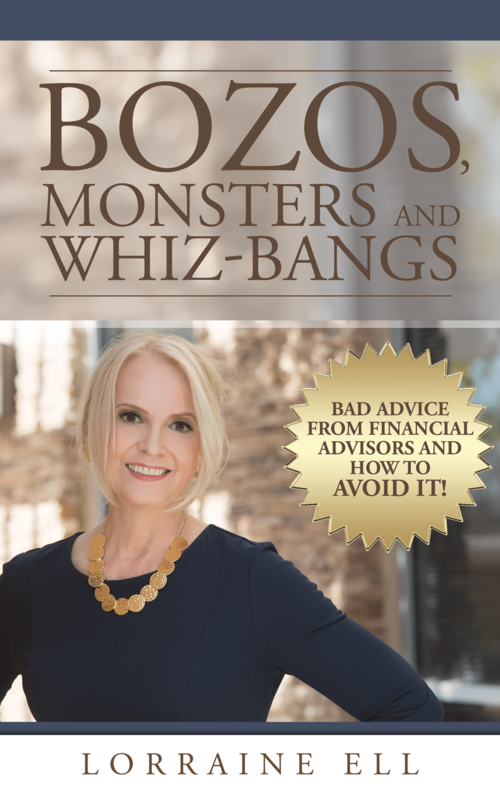 Praise for Bozos, Monsters and Whiz-bangs: Bad Advice from Financial Advisors and How to Avoid It! "Lorraine Ell has taken a novel approach to financial education, using examples of 'folks next door' to illustrate some of the most important and overlooked contributors to financial security. The result is accessible, informative and poignant. A must read!" 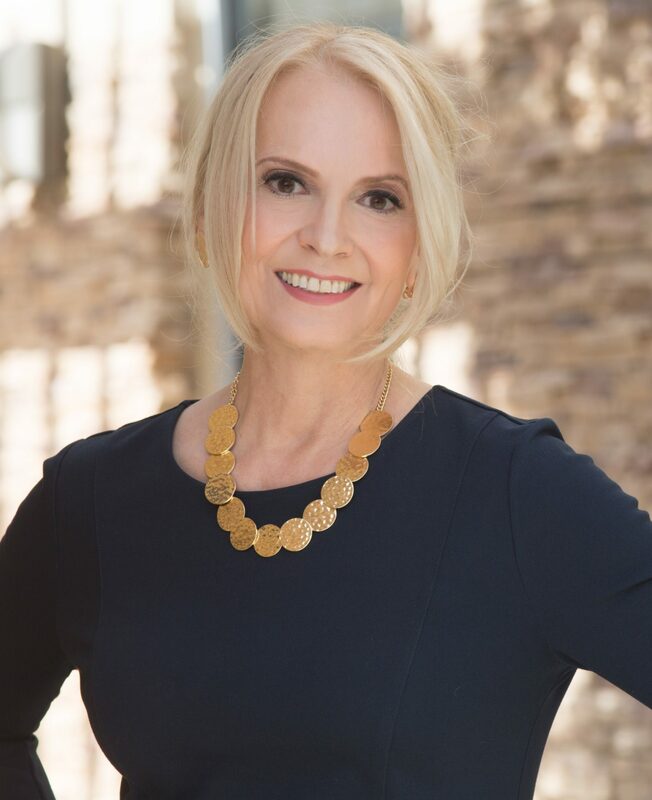 "Lorraine Ell’s book is brimming with anecdotes and insights from a career rich in experience and service. Designed to empower a layperson, the book is written in easy to understand language and removes the complexity from a topic that is often purposely opaque and driven by a bluster-filled industry. If you want to pick up some nuanced tips that can make a big difference for you and your retirement this is the book for you." "This book does a tremendous service for investors by helping them recognize the less-than-qualified advisors and the red flags to be aware of when you trust someone to manage your nest egg. A must-read for every investor!" I’m the CEO of Better Money Decisions (B$D) and co-author of the blog Better Financial Decisions. As a principal of B$D, I’m excited to continue my long career as an investment professional which started when I worked in the 1980s as an advisor with Drexel, Burnham and Lambert and J.W. Charles and as co-owner of a Registered Investment Advisory firm. Living and working in places as diverse as Jeddah, Saudi Arabia, Budapest, and Hungary has given me a unique perspective on the world of investing. Through these experiences I have learned that life can change in an instant and having a financial guide can make all the difference between a retirement fraught with worry and one with peace of mind.